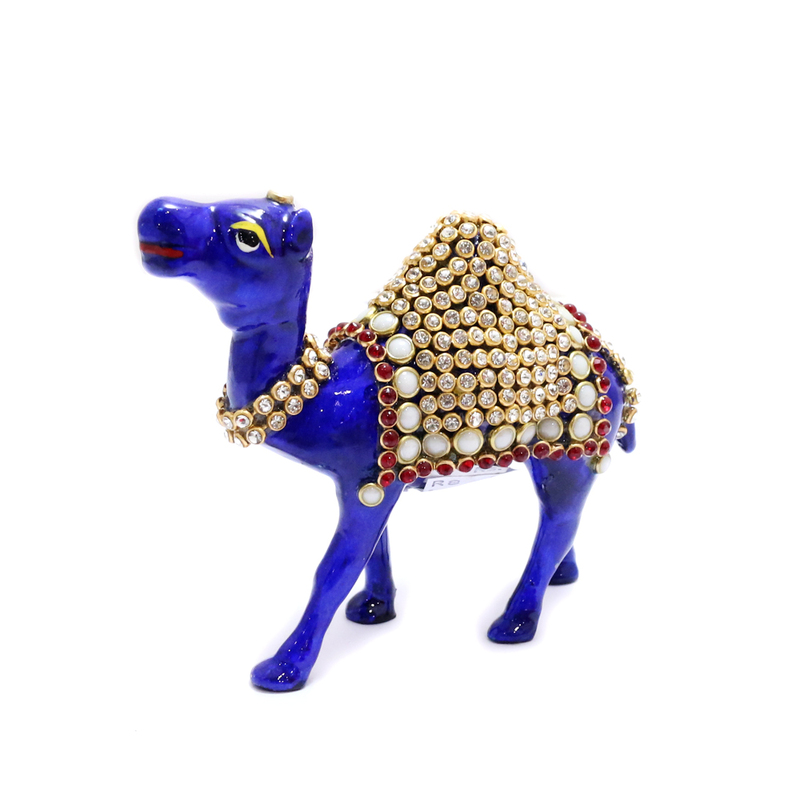 Either for healthy luck or just for the sake of its beauty, one would love this camel showpiece. 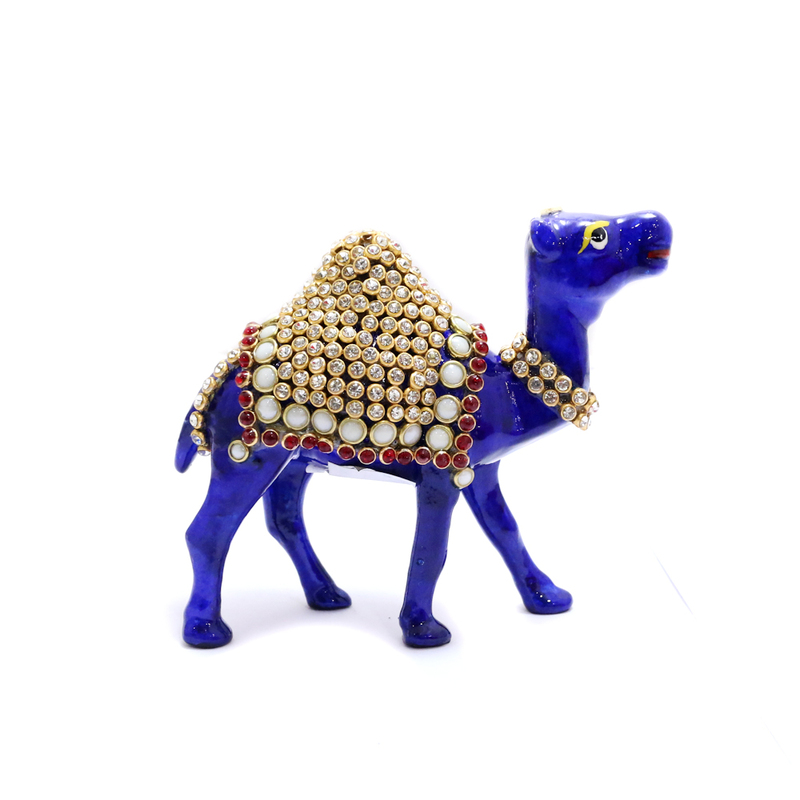 This camel has a royal blue hue Read More..and is maintained in a standing posture with stone and meena designs all over. 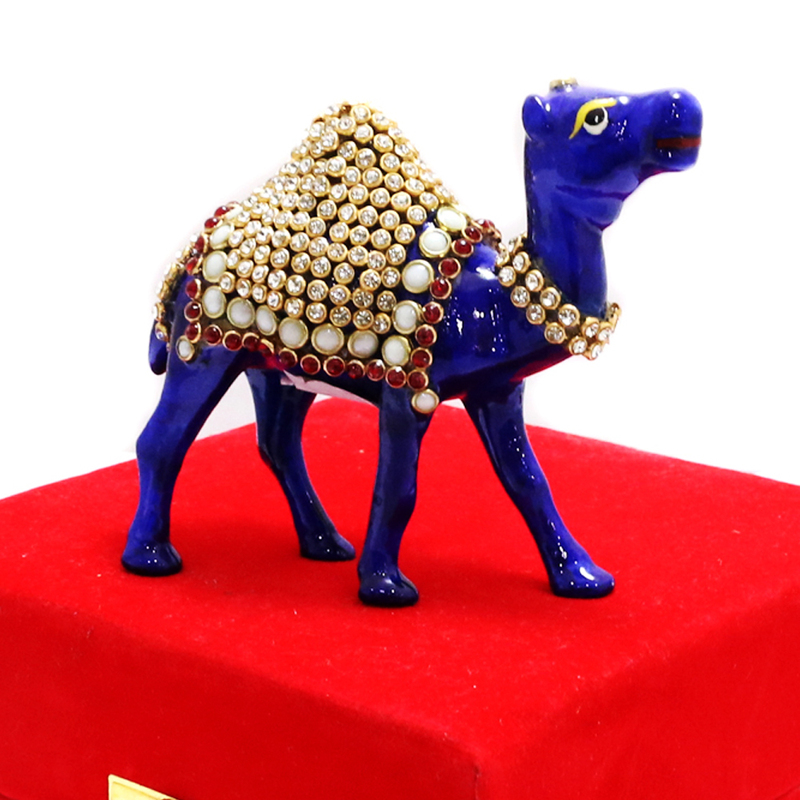 It also comes with a red velvet packing case. Show Less..